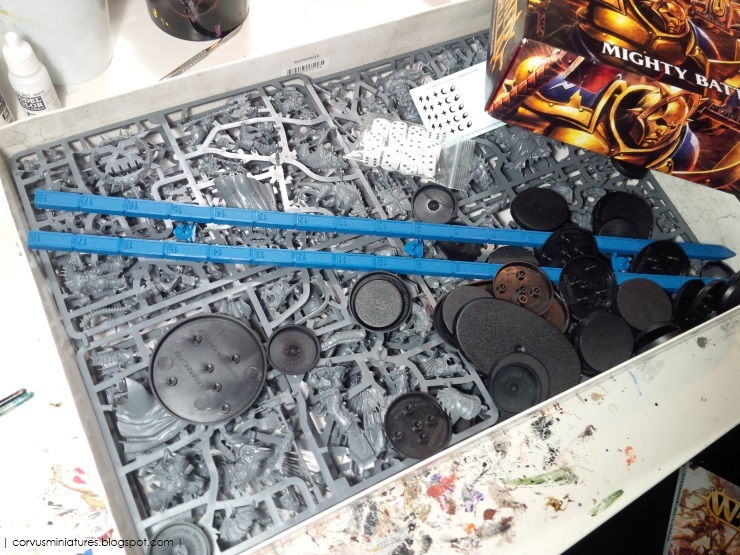 A big new project has arrived on my workbench: Age of Sigmar. A game like Warhammer Fantasy always intrigued me in a way, but I never really found an army I liked enough to start painting up several ranks of miniatures, let alone start learning the rules. 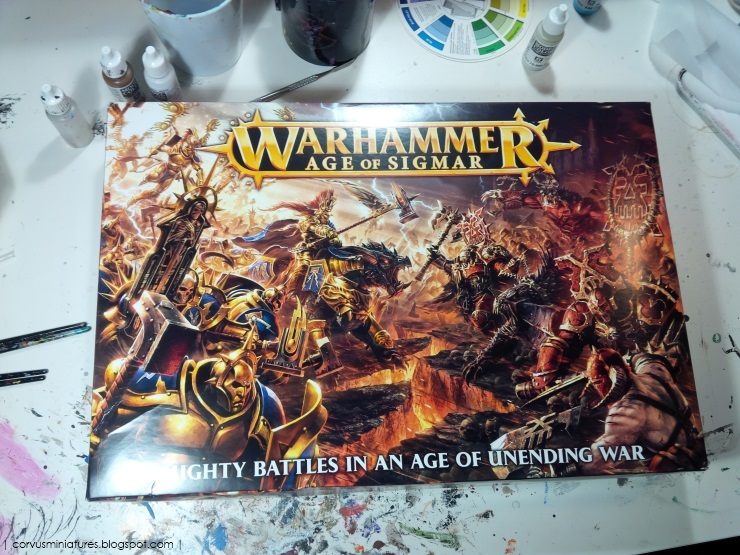 But with Age of Sigmar it's different (at least for this starter box). I really like the miniatures in this starter set, both sides (Sigmar and Chaos). 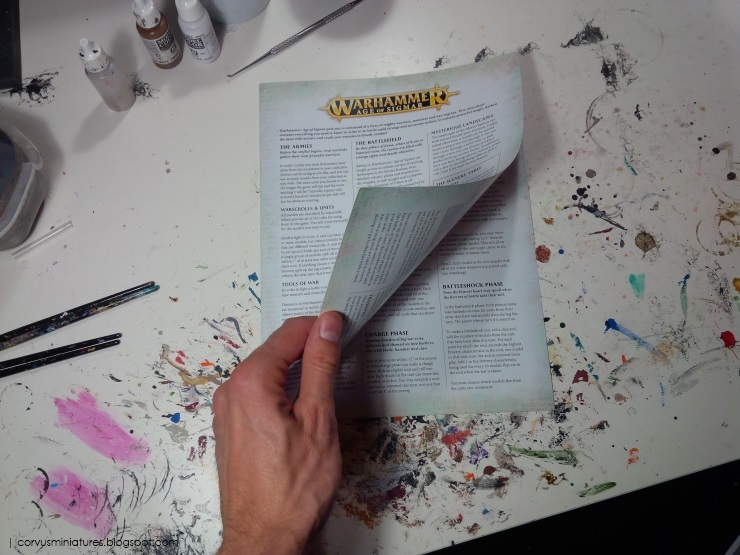 What also appeals to me is the new set of rules: it's only 4 pages! And the fact that this is the very beginning of something new and (hopefully) very big makes it the perfect time to jump in. The box is filled with sprues which are packed with parts. In total there are 47 figures in the box. Added to that are dice, rulers, decals, manuals and a load of bases. This is the ruleset: 4 pages (and the first page is basically on how to setup your battlefield). The book from the starter: it doesn't show in this picture but it's almost 100 pages. The new artwork looks badass. 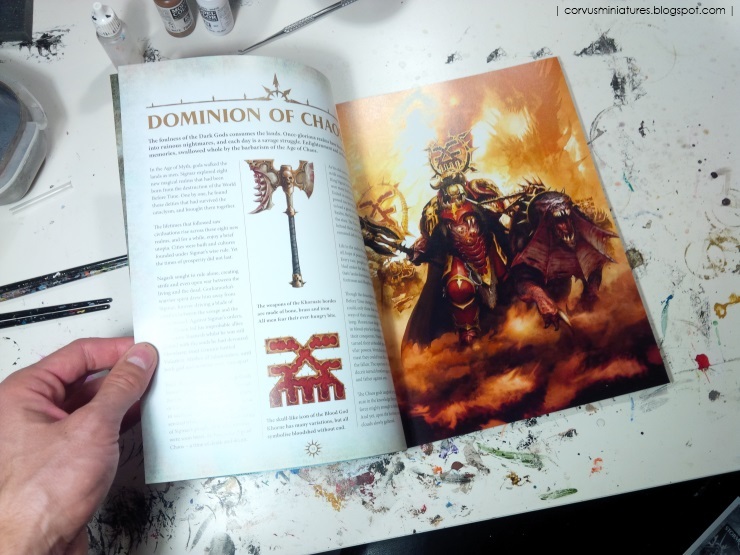 I understand I have a lot of work in front of me and it's totally different from what I have been doing the last 2-3 years, but I am very motivated to jump into Age of Sigmar.